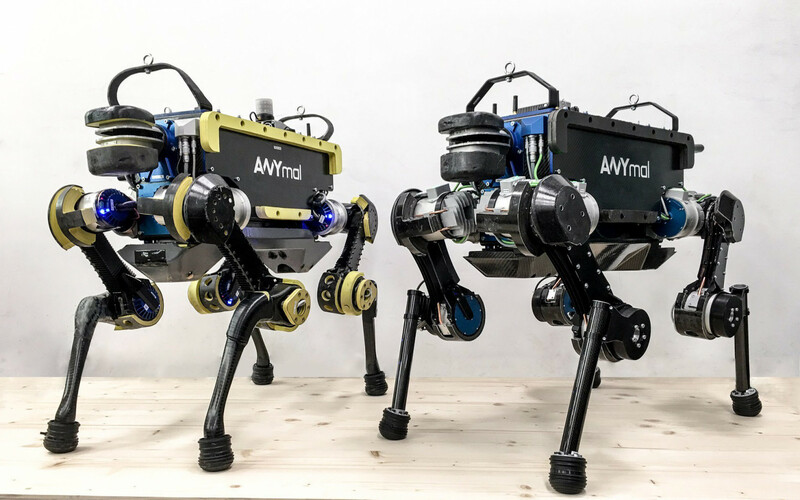 While Boston Dynamics is hard at work designing robot dogs that can break into your house, the engineers over at ETH Zurich are building robodogs that can dance. The university’s Department of Mechanical and Process Engineering (DMPE) has developed a quadrupedal robot called ANYmal, which can dance to any music. Dancing robots are nothing new. Remember the stripper bots at CES earlier this year? Any robot can be programmed to execute a coordinated set of dance moves. What makes ANYmal different is it can analyze music and come up with its own dance moves on the fly. ANYmal’s moves are not very impressive, but then again real dogs cannot dance at all. However, even with its limited repertoire of dance choreography, the AI is pretty advanced going through several steps to make it all work. First, the algorithms analyze the speed of the music. Then the AI plots out a choreography of how it might move in time with the beat. Commands are then sent to perform the movements, and then a check is executed to be sure that everything is in sync with the rhythm. It not all booze and nightclubs though (as you can see on the university's website). There is a serious side to the research being conducted with ANYmal. "We do a lot of serious things with the robot, but this is the fun side," said Fankhauser. The ability to perform self-analysis has applications outside of dancing. The internal processes that occur before and after movements are executed correlate to the way humans process how to complete a task. The researchers believe this could prove useful in creating autonomous robots for tasks such as "industrial surveying or search and rescue missions."